Summer is the peak season for Napa Valley tourism, so it’s not surprising to see a plethora of summer time Napa activities during this time of the year. Unfortunately, during the summertime hotels are nearly always full, and the tasting rooms are mostly packed. Unless you enjoy jostling in the long lines, the number of people may make you want to avoid summer vacations in Napa. The better option is to make a hotel and tasting room reservations ahead so that you will experience as little inconvenience as possible. Expect the crowds and the traffic to build up during this season. But other than the inconvenience, you will be able to enjoy a great line up of summer activities in Napa. Hiking is one of the most popular activities in Napa Valley. Day hikes in the Napa Valley make for an adventurous and fun way to discover nature, and some of these hiking spots offer scenic vistas of the valley. The region offers numerous different trails for hikers of varying skill levels. One of these hiking places is the popular Bothe-Napa Valley State Park in Calistoga. It features campgrounds, tents or yurts, a picnic area, as well as a seasonal pool. Hiking buddies and adventurous families will surely enjoy their time there. When summer temperatures make people sticky and hot, where else do people go? Anywhere with water, of course! The Lake Berryessa reservoir is usually the go-to place for water fun activities. Situated in the northeastern corner of the Napa Valley, this man-made lake and reservoir provides water as well as power to the region. Choose from activities in or by the lake which includes swimming, boating, fishing, and a variety of water sports. Or you can enjoy picnics by the lakeside and just relax. Summer also means you may want to bike off in the country and savor the peaceful and uncomplicated country life. Napa Valley is also a “country” region, specifically a “wine country,” where you can see and feel the unbeatable beauty of nature and experience the serenity. Farming, obviously, is almost everywhere in the region. But if you want to learn about the honest-to-goodness farm life, check out Connolly Ranch. This educational ranch and farm is perfect for the whole family, and it is also for kids’ summer camps! Romp, play, feed and tend the farm animals, and get some farm-based education as well as learn about sustainability and heightened appreciation for Mother Nature while you’re here. 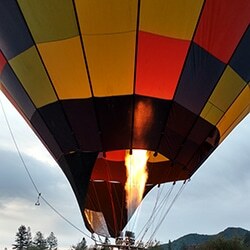 One of the most exhilarating things to do in Napa is take a hot air balloon ride high above the valley below. 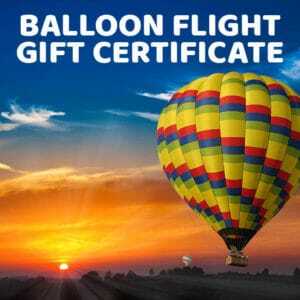 It is rather a rare opportunity for anyone to take part in a hot air balloon flight, but it will be totally rewarding! Balloons Above the Valley (BATV) provides safe, exciting, and fun hot air balloon flights for you and your whole family. Please be aware, we do have a 48 inch height or at least 6 years of age requirement. On the day of the hot air balloon ride, it starts with a pre-flight continental breakfast with coffee and pastries. This will be followed by the one-hour hot air balloon flight. Families won’t have to be worried because our experienced pilots will navigate the journey safely. After the hot air balloon flight, a delicious champagne brunch follows. Guests may even receive hot air balloon pins as souvenirs! Hot air balloon flights will clearly be a highlight of your summer time Napa activities for you and your family. If you are interested in flying with Balloons Above the Valley, you can contact us at 707-253-2222 or send an e-mail to info@balloonrides.com.